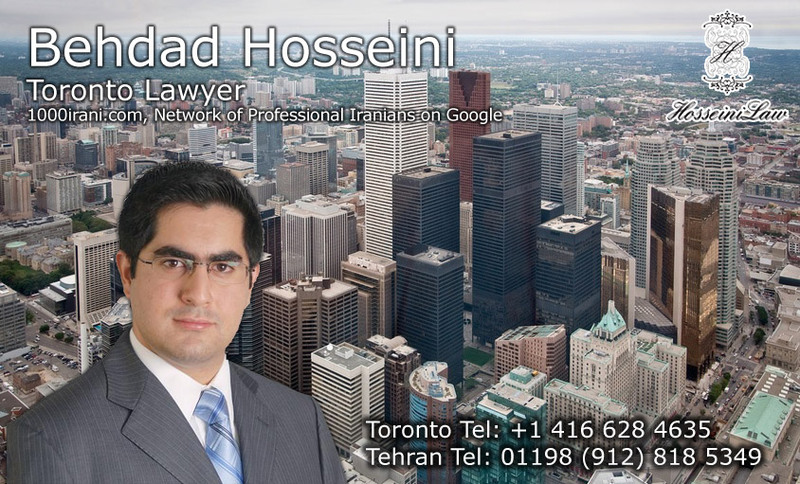 Behdad Hosseini – Hosseini Law Firm (HLF) is a boutique Corporate, Commercial and Business Law Firm founded by Business and Civil Litigation lawyer Behdad Hosseini. The firm represents individuals and small to medium sized entities in a variety of issues, disputes, dealings and transactions with other individuals, businesses and government agencies. At Hosseini Law Firm we offer Paid Legal Consultations (PLC), Legal Documents Services (LDS) as well as Legal Services and Representations (LSR). Behdad Hosseini specializes in Corporate, Commercial & Business Law, Securities Law, Investment Law, Bankruptcy & Insolvency Law, IP Law and Tax & Customs Law and Business Immigration. We can assist in the aforementioned areas of law with regards to problem-solving, problem prevention, planning, strategizing, creating & enforcing agreements, creation & establishment of various legal arrangements, conducting transactions and other related matters. Corporate, Commercial & Business Law, Corporate, Commercial & Business Litigation, Business & Investment Immigration to a variety of Jurisdictions.